Apple didn't just unveil new iPhones and iPads. 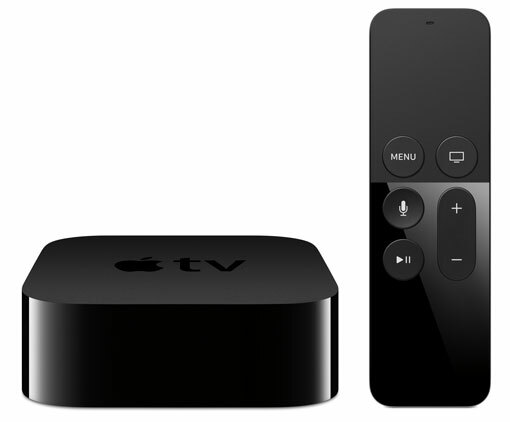 The company also has enhanced its Apple TV media streamer box with a game-console capabilities to produce a new Siri- and touch-enabled Apple TV. The company is clearly moving up from a device it had earlier defined as "a hobby." Apple has used Siri's native intelligence to improve on the voice-enhanced remotes included with the Amazon Fire TV and Roku media streamers. Added to the Siri Remote is a glass-surfaced touch pad area that improves both content browsing and game play, as well as an accelerometer and gyroscope for Wii-like gaming motion control. What's missing is the long-rumored cable TV content cherry picking – essentially a whole new universal cable box – that would allow Apple TV buyers to cut the cable cord. As with all other media streamers, Apple TV remains an add-on for TV content and now gaming rather than a cable box replacement, a TV Holy Grail the company has been pursuing for nearly a decade. 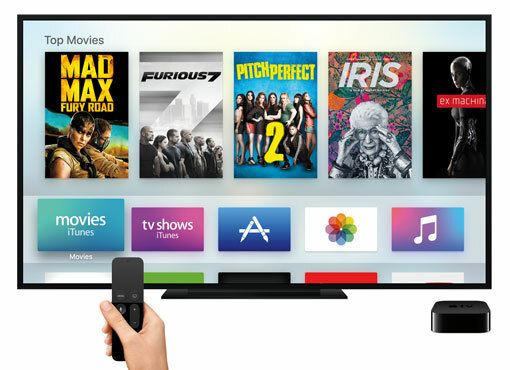 Apple's new concept for TV is essentially an old one enhanced – apps. Apple has created a new operating system for its Apple TV apps: osTV, similar to iOS. What's different is that Apple has brought to power of its App Store and its app development community to bear to create a potentially broader range of newly interactive content and gaming apps to Apple TV, and is taking advantage of a world literally filled with iOS devices. For instance, multiple players can play an Apple TV game with an iPhone or iPad. Players with iOS devices can also play cooperatively in tandem, for instance a novice player paired with a more experienced one. Plus, an app bought from the Apple TV app store also can be used on an iOS device; playing content on one can be transferred to another mid-play. Siri also has been neatly integrated into Apple TV, not only for content searching but for actual TV watching. For instance, you can ask Siri about the details of a film – the year it was made, who's in it, etc. – with the answers displayed across the bottom of your TV screen while the content continues to play. You also can ask Siri for disparate info – a sports score, the weather, etc. – also displayed across the bottom of the screen while you're watching. Or, you can ask Siri to open another Apple TV app, such as Apple Music, and Siri will not only open the new app but automatically pause what you're watching. You also can ask Siri to flash back if you missed something. If you ask Siri what a character just said, Siri will jump back 15 seconds and turn on closed captioning. You also can ask Siri to skip ahead or back a certain number of minutes. Unfortunately, it doesn't look as if you can ask Siri to skip the commercials in Hulu. In addition to touch pad area on the Siri Remote are five-button: Home, Menu, Siri, pause/play, volume). After asking Siri to find a specific piece of content, you'll get a combined list of results that includes options from iTunes, Netflix, Hulu, HBO and Showtime. More content sources are expected to be added over time, according to the company. Siri's universal content source voice search surpasses the voice searches offered by Amazon and Roku by adding filtered searches within searches. For instance, you can ask Siri to list action films, then filter those results for action films with a specific actor or a specific director. Or, you can ask to find a specific TV series episode with a specific guest star. It's unclear if you can search for a series' specific episode title. To browse content and apps, the touch pad area lets you smoothly scroll through rows and columns of choices instead of the usual one-by-one click-through of other remotes, including the old Apple TV remote. Rubbing the touch screen activates a 3D floating effect on chosen items. The Siri Remote connects to the Apple TV via Bluetooth, so it doesn't have to be pointed directly at the box and can operate from across the room. Sports apps also get a higher-level of interaction; a new osTV MLB.TV app lets you view two games side-by-side, or to retrieve live stats displayed alongside the action. NHL Game Center will launch next year. The Gilt high-end clothing shopping site also demonstrated an Apple TV family shopping experience, with high res photos and animations of clothes and single-button purchase options, presumably using your Apple Pay details. Given Apple's breadth of game, content and informational app developers, it's likely a large universe of Apple TV-enhanced apps will be available for the new media streamer in short order. Due in late October, the new Apple TV will be available in two configurations: 32GB of user storage for $149 and 64GB for $199; the original Apple TV will remain in the line for a reduced price of $69. So is Apple going to add Amazon Streaming to the lineup or make me continue to stream it off of my phone? While it’s not surprising that Amazon Instant Video isn’t going to be available at launch, I’d bet you’ll see the app within the next year. Like the app store for iPhone, you’ll see a wide variety of apps in the App store for the new Apple TV. This doesn’t make any sense to me. Apple is offering me a more expensive option to my Amazon fireTV stick that has even less options and a slower voice controller. Where is the incentive?